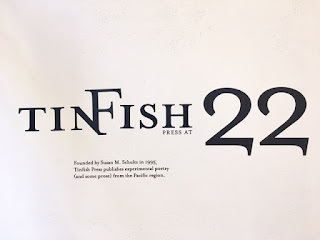 Since 1995, TinFish—founded, published and edited by Susan M. Schultz—has been releasing some of the most gorgeous chapbooks and books in the literary world. 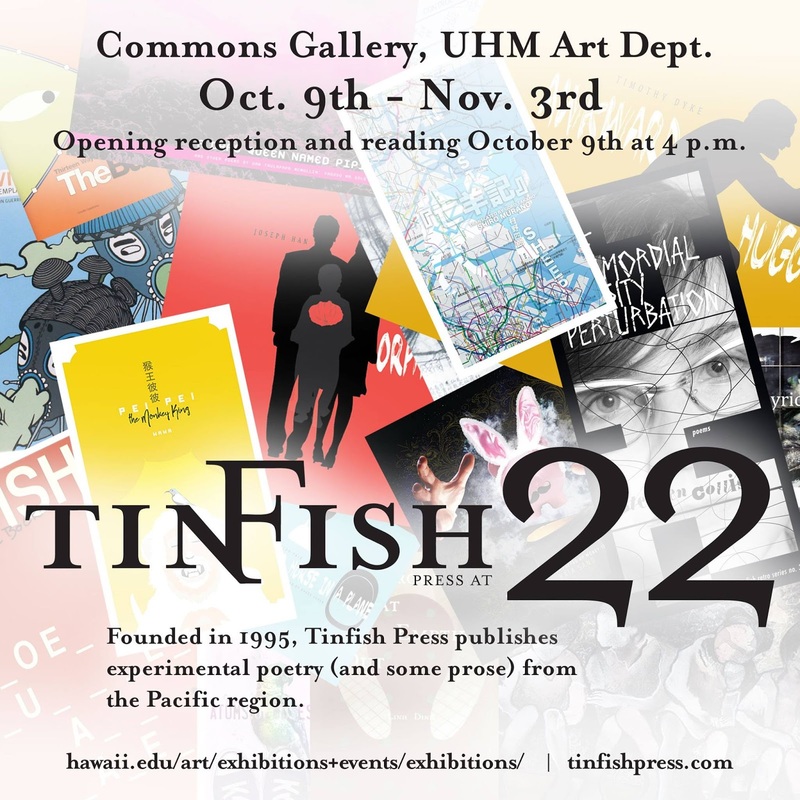 It absolutely makes sense that there would be a gallery show of TinFish’s production, and I was happy to see “TinFish 22,” an exhibit celebrating TinFish’s 22nd year at University of Hawai’i at Manoa’s Commons Gallery (Oct. 9-Nov. 3, 2017). Aptly, the exhibition had opened with a literary reading by several authors. 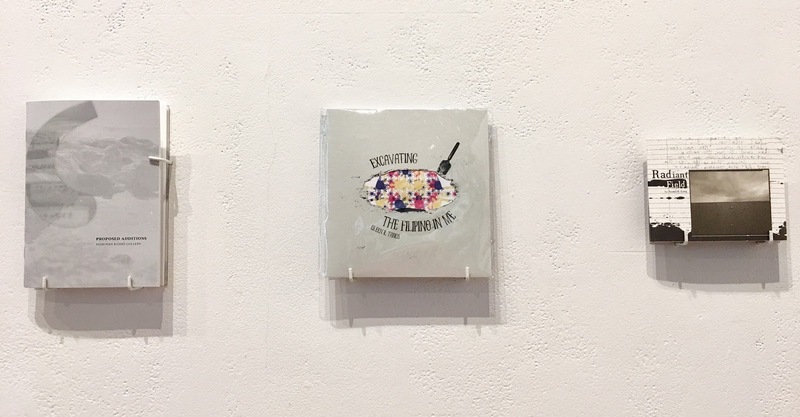 The exhibit presents a selection from TinFish’s catalogue, showcasing both book covers and the book-objects themselves as art. It’s not a hard case to make that the actual books, and not just the artworks they reproduce (for both covers and interiors), are “art” with both strong conceptual and visual effectiveness (one of my favorites, not shown as perhaps it’s out-of-print, was the TinFish journal designed by Gaye Chan that used recycled cereal boxes as covers—not only was its recycling admirable but we were reminded of how cereal boxes offer eye-catching designs as they seek to attract consumers). Tinfish’s first designer was Suzanne Kosanke. The books showcased in the exhibit were designed under the following head designers: Gaye Chan, Eric Butler, Allison Hanabusa, and Jeff Sanner (some books used different individual designers). 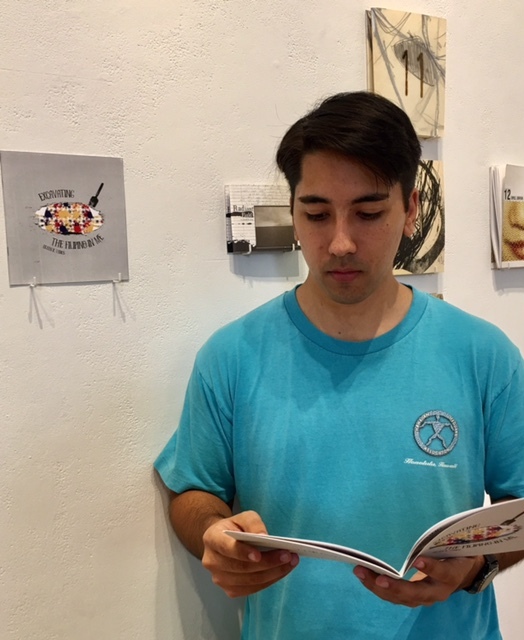 Sanner and Schultz were joined by Rodney Bengston and Wayne Hiraoka from UHM’s Art Department in creating the format of the exhibit as well as picking books for showcasing. 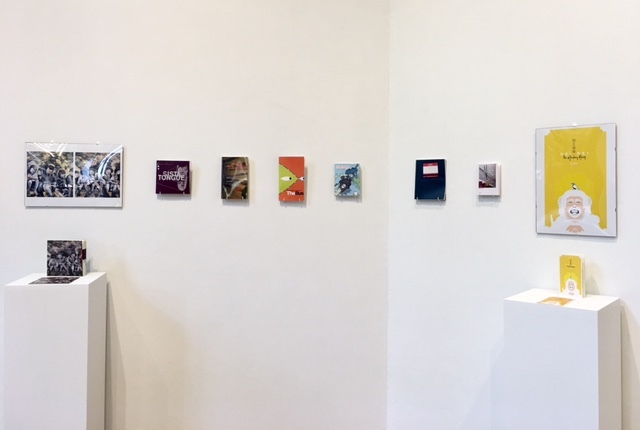 By not being fixed to the wall, the books can be taken off the wall so that a viewer can also flip through the books’ pages to read them—indeed, the viewer is invited to do so, with chairs set against one gallery wall to facilitate such a purpose. Here are two visitors/readers who did exactly that during my visit to the exhibit; they are reading Lee A. Tonouchi’s Living Pidgin and Eileen R. Tabios’ [Editor's Note: Yes, that's me.] 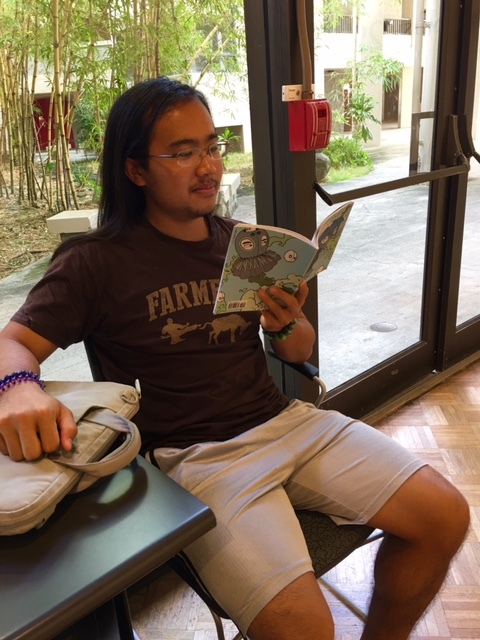 EXCAVATING THE FILIPINO IN ME. 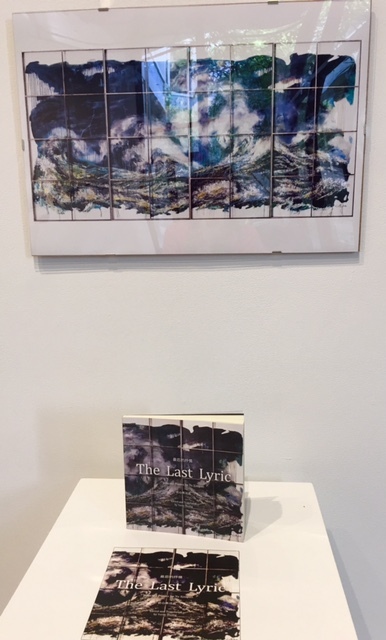 When you take several of the book(s) off the wall to read it, you then reveal a print of the book cover against the wall which aptly highlights it as a work of art. For some books, extra prints of interior illustrations are presented next to the books. Kudos to the curators who offer one way that can be emulated by others who wish to "exhibit" books whose formats transcend the normative book structure of being simply a collection of pages that one might read. 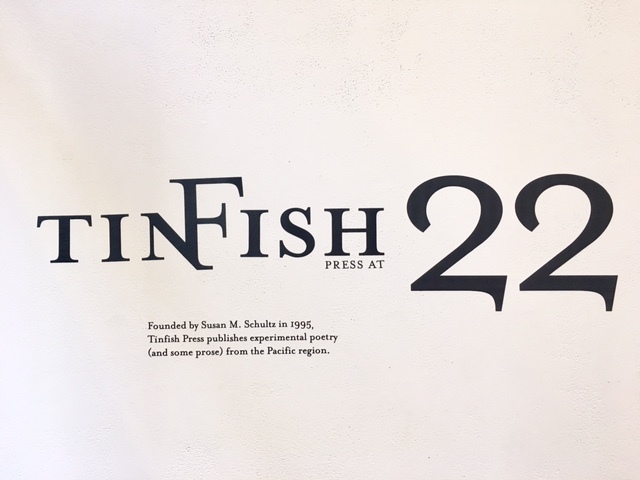 The exhibit shows Schultz’s dedication, enthusiasm, and love for exploring the TransPacific experimental aesthetic for which Tinfish is lauded. 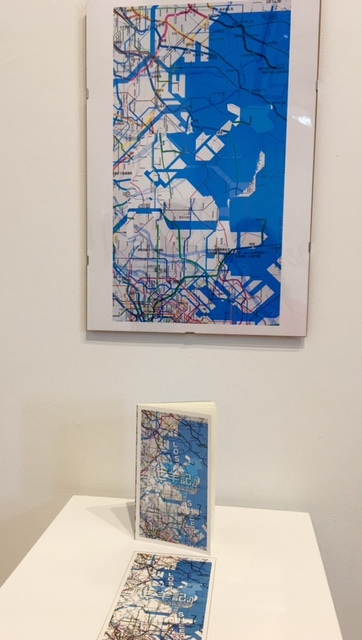 During my visit to the exhibition, I watched the several gallery visitors who happened to be present. 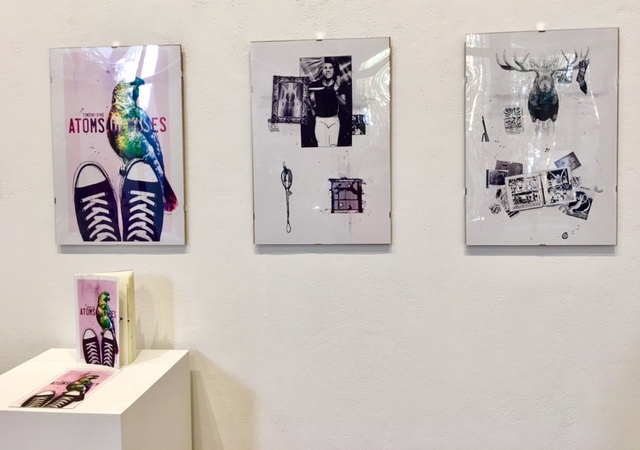 From my visit, they ended up engaged with the art and the books—exactly what Tinfish would have wanted—attesting to the success of this exhibition. I want to write an honest sentence about injury. When is analogy injury? When song mimes trauma, or the other way around, as if two girls singing “this girl is on fire” mimicked the deep state's heavy metal? A boy leaned into speakers at a London club, circa 1978, while the rest of us jumped up and down. There was a back door. That was no Khmer Rouge self-education camp. (“Does arm have a b on the end?” my daughter asks, thinking it like the word “numb.”) Memory is always already proximate, a dolphin leaning toward the pier to rub its nose against a cat. Or a hooded man bound to a metal bunk bed beside the other who will never leave the room. Or forged to resemble either. The man who was most kind to my parents writes that the statute was at fault for his conviction. Evasions of is as as. Sylvia Plath's angered me. Daddy didn't put you in a camp. One wonders how to punish someone who so ably punishes himself. Adding insult to injury, perjury to testimony. It's another thing if we're all implicated, wondering where the books we left in the mail room went on more than one occasion. Self-cratering is not self-care. My reliance here on sayings—buy the styrofoam bowl and add water to taste before putting it in the microwave—reflects the fault in my chest. That's an analogy for burning. Where in your body do you feel this lack of knowing anything? At Kilauea Iki the walls of the crater appear as scrims of rock; in each pile along the path there are black and orange rocks, and those whose surface is aluminum. At polite distances, ohi'a push out their tufted blossoms and spikes of grass bow. The lava field is a zendo of sorts. As we drove back from Kona, the volcano shone red in sulfur smoke to the right of Mamaloa Highway. “I'll always remember this day,” our other daughter said from the back. Whether or not that was an honest statement hardly matters; we cannot know what that verb form holds. I want to write an honest sentence about something else. Once upon a time, there was a young woman named Something Else. She lived on the windward side of a mountain that bled clear water when it rained. Something Else had a GPS whose voice took her Somewhere Else, a small cafe where music was unplugged and everyone spoke in measured tones about the return of the trade winds. Something Else wrote lists of the lists she needed to make, of socks and shoes, of people she wanted to meet, of the emotions she refused to feel. That she lost her scraps of paper to the wind hardly mattered; she had made something of her imagined life, something that mattered to her. It was material fact, even if Someone Else on the other side picked it up later, not knowing anything about her except that her culture mandated clean socks and laughter. When the dirty water sprinklers started, all the children screamed and ran off the field. One left the list behind, and words melted into themselves and the soil. Socks were sacks and laughter was a curve ball. Who's to say we should match fantasy to fact, when fact is so bad for us? Something Else kept writing lists of food she never ate, of team sports she never played, and of goals she never pursued. But she found the road to Sublimity, where the eclipse would occur. The event that is the lack of the only event of which we can be certain. Lucretius, brah, had nothing on the heliotrope in his garden. One could make a happy beginning after the minute of totality, or one could rest in the shadows. I want not to allude to tiki torches, though they do cast a dubious light. The politics of purity is clueless, no candlestick, no baseball bat, no back room or garden. So Something Else planted her own clues, putting down an air plant's roots and watering the air after the wind stopped. She tempted butterflies with her milkweed, listening for wings in the late afternoon light when sunset drew orange pencil over the mountain's lash. Those who shall be last are first, she thought, as she averted her eyes from the screen. I want to write an honest sentence about grief, the ways we claim it for ourselves as if we were assigned categories, like hurricanes. I was a five with him, and you but a three, or I achieved orange and you but a pale blue. My daughter wants to know what the colors in her book mean, but she knows that red assigns you the handmaid job. Outside, there's a bird, a motorcycle and Irma through the upstairs speakers. Behind the bird doves doo wop. I know a Honda from a Toyota more than this from that bird, or, names float separate from being. The alphabet keeper had a huge net with which she caught her letters, but names are another matter, requiring more net, or less noise. Because one student is blind, I required them either to pick up trash or to collect sound pollution. My husband sleeps on the couch as Hurricane Irma pounds one man in Naples, Florida. This one man is wearing a blue slicker and under his slicker is a helmet and beneath his helmet are goggles. I caught an early reference to the falling men, those who revisit us each 9/11 as horrible thuds on low-hanging roofs. My students took personally Ta-Nehisi Coates's lack of sympathy for the victims. Several demanded inspirational content. They loved his honesty, though. When I handed the shirtless Hawaiian man, seated on a patch of ground beside the post office with a large brown dog, a bag full of toiletries, he called me sista. Radhika wondered why not aunty, but of course he and I were of a similar age. Or he right for Nam, I for the ivy league. Let's do couples therapy with the book, I suggest in class. You read a section that angers you out loud, and then say only what you read. Tell me where in your body you feel it. If it's in the cone of uncertain grief, you've got your GPS. Grief positioning as an app, one you link to your smart phone, giving you time during the day to schedule your weeping and your denial. It's loss of control, isn't it, that ruins us, not even the symptoms that carry us there like medics in green helmets, their boots sucking mud out of the rice paddy. He was with a group of men who got separated from the others. When soldiers approached, he had no idea if they were friend or foe. Then he saw they were black, heard Sgt. Pepper blasting out of their tank. Later, he adopted a Cambodian child and married an East European woman he met on-line. I want to write an honest sentence but all the words have shifted or are locked in containers in the parking lots of our suburb. In the parking lots of our suburbs we hear the sounds of mynahs and chickens, but honest sentences are too soft to be heard. Too soft our ear when we turn to the general whose tales spin from the apparent air. Spin your tales with no names attached; they might drag you down like anchors. The fourth soldier wasn't found for days, his body too mutilated for an open casket. When you call the soldier's grieving widow, put on the tone of a holy man, not one holier than thou. In the holier than thou suburbs we sweep the homeless off our streets and stretch our arms out to the ocean's real estate. In the homeless ocean, particles of plastic lodge themselves in the stomachs of fish and albatross. The stomach is its suburb, ganglion like a demi-colon to which are attached the nets and buoys and sandwich wrappers that define us. Her autobiography consists of what she buys, and ours of what we waste. In the wasted suburbs a Filipina maid killed herself in the back garden, or did she? My husband's dental hygienist began with a flurry of Filipino jokes, because she is Filipina. In the suicidal suburbs one man turned on his car (twice) in the garage. The first time his son found him alive. Another shot himself on the lower floor, while his family sat above. He was successful the first time. In the suburbs our neighbor molested his daughter whose death was later ascribed to a fall. He was a saint to my parents. In the sainted suburbs we put our trash at the curb in bins so no one could see it. We kept our sorrows inside air conditioned rooms, our screams within brick walls. I want to write an honest sentence about such sorrows as arrive here uninvited. It's the dream, this particular trauma. Each day I walk my dog through unsettled air and feel a strange mix of grief and love. Our leader abuses us. The raisin has eight folds and four puckers and feels like leather in my mouth before I swallow it. Susan M. Schultz is author, most recently, of Memory Cards: Simone Weil Series (Cambridge, UK, Equipage Press) and of several other volumes of memory cards from Talisman, Vagabond and Singing Horse Press. She also authored Dementia Blog and “She’s Welcome to Her Disease”: Dementia Blog, vol. 2 from Singing Horse Press. She has lived in Hawai’i since 1990 and founded Tinfish Press in 1995. She lives in Kāne’ohe on O’ahu with family and cheers for the St. Louis Cardinals. 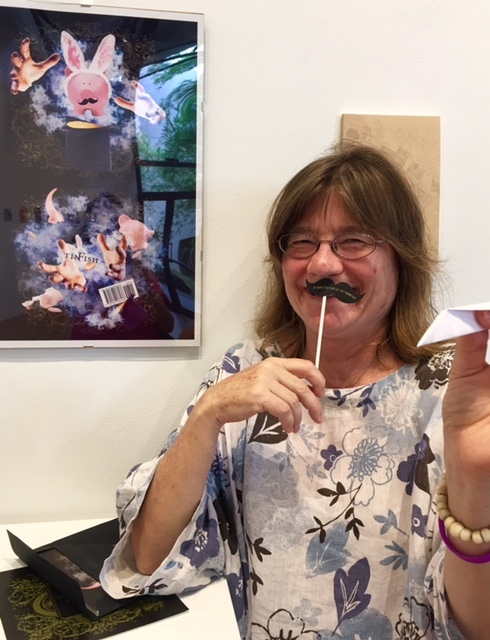 Author, essayist, activist, translator and poet, Susan Briante is an associate professor of Creative Writing and English at the University of Arizona. From 1991 to 1997 she lived in Mexico City working as a journalist for the magazines Artes de México and Mandorla. She has received grants and awards from the Atlantic Monthly, the MacDowell Colony, the Academy of American Poets, and the US-Mexico Fund for Culture. 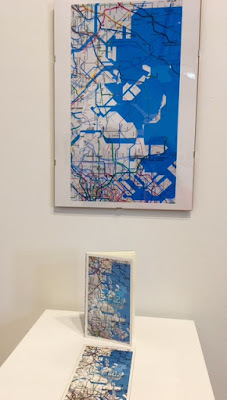 As well as being the author of two chapbooks and three books of poetry to date, she writes essays on documentary poetics and on the relationship between place and cultural memory. Pioneers in the Study of Motion, which issued in 2007, is her first full-length collection. 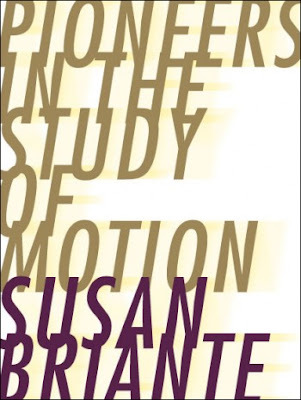 …motion is no longer the optical perception of points and surfaces, it has become a kind of vertical disorder, made of contradictions, black-outs, terrors and faints; it is no longer a gliding, but an inner devastation, an unnatural perturbation, a motionless crisis of bodily consciousness. The book is divided into three sections of equal lengths. The first section, Eventual Darlings, contains many poems that were originally published in an earlier chapbook, Neotropics: A Romance in Field Notes (Belladonna # 52, Winter 2003). 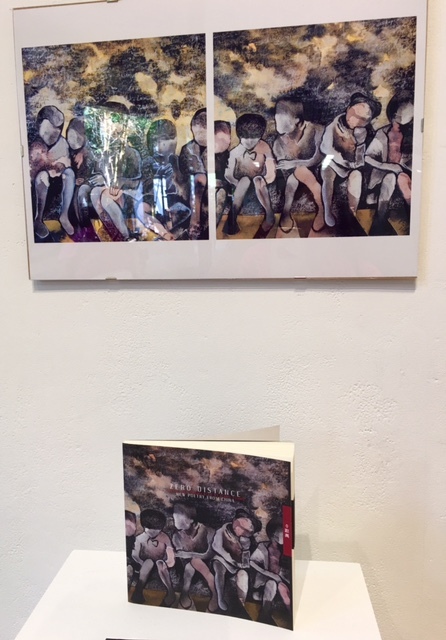 Interestingly, the series of poems entitled Eventual Darlings did not have place-names attached to them in the chapbook: Galang Island, Kinshasa, Mexico City, Brasilia and Kanpur were all added in parentheses later on. In these poems, each of the places is succinctly described before moving on with an account of what modern living has done to them. In Galang Island, for example, we find ourselves in a detention camp for Vietnamese boat people who spend their time constructing a model of the Statue of Liberty—the first of many Briante “juxtapositions”. In Brasilia, we go from virgin forest to built-up city. These poems are interspersed with another sequence, all set in Mexico, related to numbered days in the rainy season, e.g. 3rd Day of the Rainy Season, etc. and a short sequence called Cintas derived from translations of Aztec poetry. Of the other poems in this section, Love in a Time of NAFTA signals early on in the collection Briante’s interest in economics and trade. The middle section, Pioneers in the Study of Motion, take things at a slower tempo. The outer sections, especially the rainy day sequence and the final section are where Briante is at her most compelling. 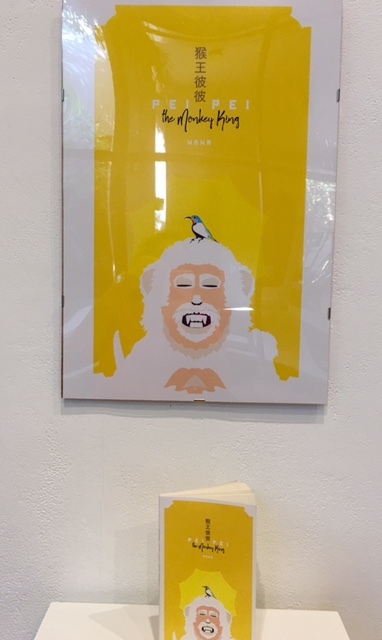 The middle section references specific occupations which appear in the titles, such as an illustrator, a money-changer, a typist and a domestic. These help to anchor the subject, whether it be an exploration of the past or an illustration of the present, while others concern relationships: the cartographer’s son, the missionary’s pupil, the dressmaker’s daughter, the archaeologist’s lover, etc. You get a particular sense with Briante that every line is voiced inwardly before it is written down. It is tested for its lyricism so that every syllable and every phrase is finely balanced and evenly placed. his shoes and socks. Groves fill with punch-card light. sidewalks where claustrophobic anticipation works its corkscrew. a billboard celebrates300,000 more miles of pavement. Three sets of imagery permeate this collection. The first set is to do with tall buildings—a kind of vertical motion—status symbols for all the world to see and pronounce upon. Here we find mention of office towers, columns, building cranes, the Chrysler Building, the Torre Latino. the Pemex Tower. The Torre Latino, when it opened in 1956, was the tallest building in Latin America and the Pemex Tower was the tallest building in Mexico from 1984 until 2002. It housed Mexico’s largest company and the world’s fifth largest oil and gas company. Briante uses these images as reference points for the aspiration and over-reaching ambition of big business, and, no doubt, corporate greed and power. They are the new cathedrals that soar above the steeples. The second set of images is to do with combustion—a kind of horizontal motion—a danger that must be contained less it spread like wildfire—or an oil slick—once it gets out of control. Here we find mention of gas, oil, propane, gasoline rainbows, Agent Orange, petrochemicals, phosphorous, kerosene, smokestack, anthracite combustion, 6 lanes of bus fumes, oil drums, etc. This set of images leads neatly into the third set which centres around the theme of urban waste and pollution. Down the straight vein of Avenida Revolución, the sun’s rays cause a complex chemical reaction between oxides of nitrogen and hydrocarbons to form a dirty yellow veil of secondary pollutants, which cause a complex chemical reaction between a beauty parlor and the Indigenous Institute, between these oxides of nitrogen and a tart afternoon, between the cinema and the sidewalk and merchants, a straight vein, an avenue, a veil. The repetition in these passages serves to highlight the heaviness of the atmosphere. It is as if there is no room for any other vocabulary to be used. In her images she stirs our conscience, lets the pollutants rise to the surface and confronts us with the evidence. This is poetry that demands to be heard. Highly recommended. Neil Leadbeater is an author, essayist, poet and critic living in Edinburgh, Scotland. His short stories, articles and poems have been published widely in anthologies and journals both at home and abroad. His books include Librettos for the Black Madonna (White Adder Press, Scotland, 2011); The Worcester Fragments (Original Plus Press, England, 2013); The Loveliest Vein of Our Lives (Poetry Space, England, 2014), Sleeve Notes (Bibliotheca Universalis, Romania, 2016) and Finding the River Horse (Littoral Press, England, 2017).